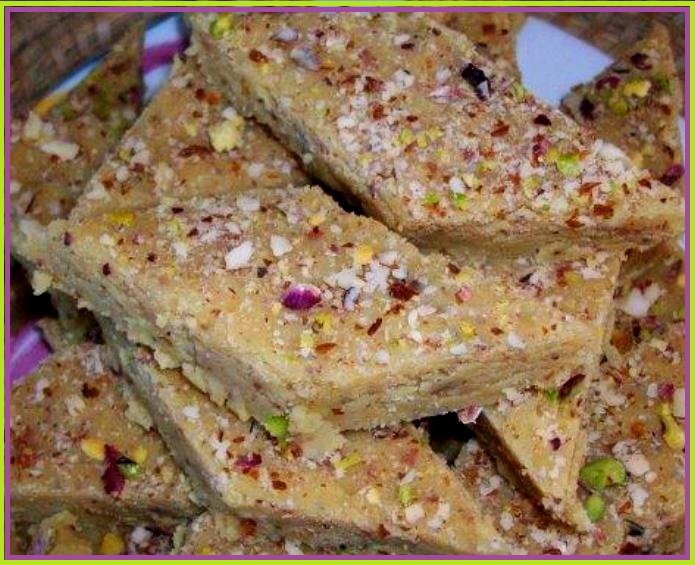 This is a very tasty Halwa usually made in the cold days of winter. A must sweet dish on many occasions. 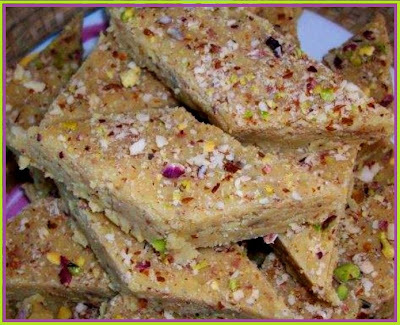 You can make it as a soft halwa or even make is in pieces, I like it in pieces. It stays good long if you keep it in tin box. 1 cup Sugar or to taste more…. *In a heavy pan, boil the lentils till water dries and lentils are tender. *Grind the lentils in a food processor till smooth paste is formed. In a wok heat 1/2 cup oil on medium heat and then add the cardamom. *When they start to pop up, add the lentil paste. *Add sugar and mix well. Lower the heat and stir for about 10-12 minutes. *Add milk powder a little at a time, making sure no lumps form. *Add the 2nd half cup oil. *Stir well till oil separates on the sides. 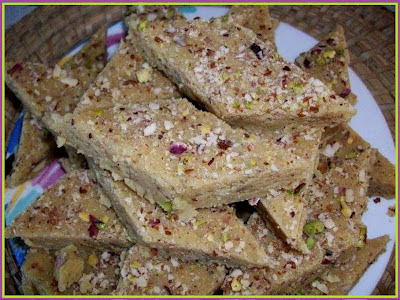 *Spread halwa in a tray and leave to cool. *Sprinkle with chopped nuts and press in a little. After it cools, cut into squares or diamonds and serve. TIP: You know it's done when it's kind a like doughy texture and crumbly.